If you usually have long days of hard work, then you understand just how important eating well is to staying revitalized. Food has a significant impact on how productive you are at work. The same concept applies to service animals. Considering the difficulty of the activities that service dogs help us with, it’s only fair that we give them high-quality dog food. These animals have been incredibly supportive and loyal as far back as the 1600s. Some of the tasks that service dogs are trained for include: law enforcement, herding, hunting, sledding, agility competitions and shows. So, what is the best diet for dogs that are service animals? Although there are certain commercial feeds tailored for working dogs, these animals are not all the same, which means they will have different nutritional needs. Ideally, you should customize your dog’s diet to the load of work he performs. Water is without a doubt, one of the most crucial nutrients for a service dog’s diet. 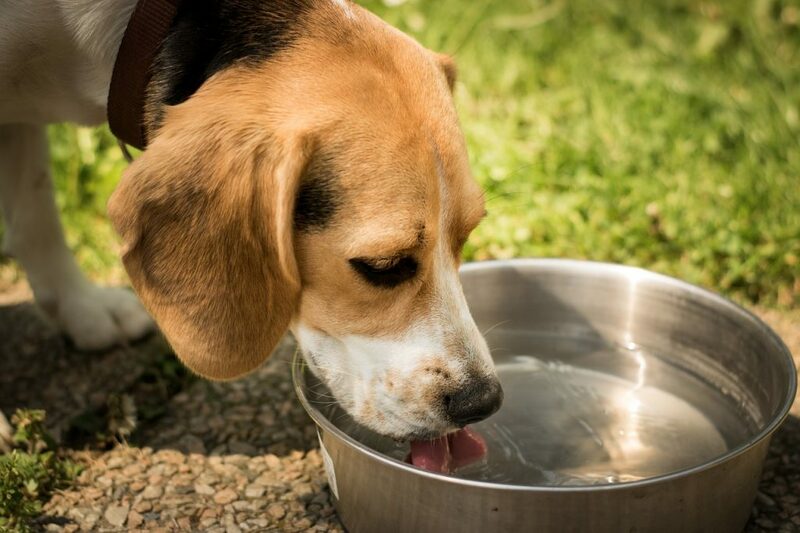 Failing to give your pet sufficient amounts of water can lead to dehydration. Unlike humans, dogs do not sweat so as to regulate their body temperatures. These creatures lose water through two main parts: their tongues when they pant and the pads on their feet through evaporation. Whenever they engage in high-intensity activities, your pooch generates a considerable amount of heat, which in turn, increases respiratory water loss by 10 to 20 times. If you plan to engage your pooch in a vigorous activity such as hunting, ensure that he has ready access to water. This way, he won’t get dehydrated in the middle of the task and leave you high and dry. Providing sufficient amounts of water to your working dog has other benefits such as ensuring stable blood flow and boosting his working capacity. The energy requirements for service dogs vary widely among different breeds. This will depend on several factors such as level of training, type of activity and weather. However, every service dog needs a diet rich in calories and other nutrients. There’s a stronger correlation between the energy needs of dogs and the distance they travel than there is between the dog’s energy requirements and the speed at which he moves. For example; a sled dog that travels very long distances will use up more energy than one that races for 500 meters. Apart from the type of activity, the weather is another factor that determines just how many calories your service dog needs. When the temperatures are too high or too cold, your pooch will have more craving for calorie-containing foods. Ideally, these working dogs need 1.5 to 2 times more energy than their non-working colleagues. Beyond providing energy, fat boosts the absorption of certain nutrients in your dog. Another reason that makes fat a crucial nutrient for service dogs in burning more fatty acids as well as boosting their capacity to perform at high levels. Service dogs also need higher amounts of carbohydrates than non-working ones. Racing dogs such as Vizslas may not require high-calorie dog foods. They, however, require energy in form of short bursts. Unfortunately, fat cannot provide these short busts which is where carbohydrate-rich dog foods come in handy. Carbohydrates give your pooch a quick source of energy like the one obtained from the glycogen stores in their bodies. Glycogen is a form of energy stored in the body. Unfortunately, the amount of glycogen is limited; hence, the need to substitute it with carbohydrate-rich dog food sources. For sprinting dogs like greyhounds, at least 25% of their diets should be made up of carbohydrates. Non-sprinting dog breeds can do with 10% of a carbohydrate-based diet. Another nutrient that service dogs require is high-quality protein. These creatures use essential amino acids like valine, tryptophan, and methionine to repair their muscles and tissues as well as in synthesizing hormones. A highly-active service dog should be fed between 30 and 35% of crude protein. Proteins present in grains are not recommended for service dogs. The reason for this is that such pet food is harder to digest. Grain-based proteins also tend to provide gastrointestinal (GI) fill, which causes your dog to be less productive. However, you should be careful when choosing protein sources for your service dogs. Steer clear of meat by-products and meals as they have the lowest protein content. They are also difficult to digest and have very low value. Instead, you should go for foods such as eggs, fish and real meat. For one, you must make sure not to overfeed your service animal with treats and table foods. Seeing your furry friend work so hard during tasks can tempt you into giving him treats and rewards. But this is not advisable since they tend to have very high amounts of calories. 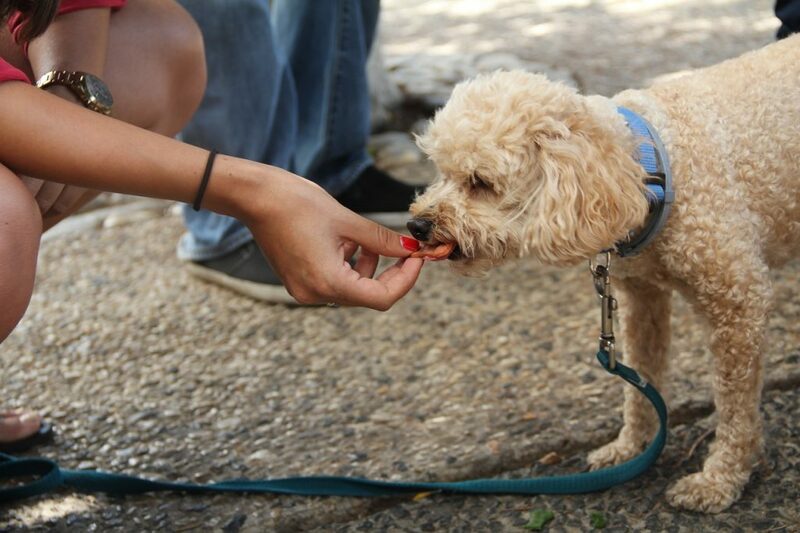 Dog treats can have up to 20% more than their daily calorie requirements. Secondly, it’s not wise to feed your service right before or after a strenuous activity. If you feed your dog during these times, you put him at a risk of multiple digestive problems ranging from diarrhea to stomach discomforts. Experts recommend feeding athletic dogs just two times in a day. The best time to feed your service animal is an hour or so after major activities. Finally, you should never make drastic changes to your dog’s diet. If you plan to introduce a new food or decrease his intake of a particular nutrient, do this gradually. This way, his digestive system has ample time to adjust to the new intake. Service dogs have unique nutritional needs. The best diet for dogs that are service animals is one rich in carbohydrates, fats, and proteins. 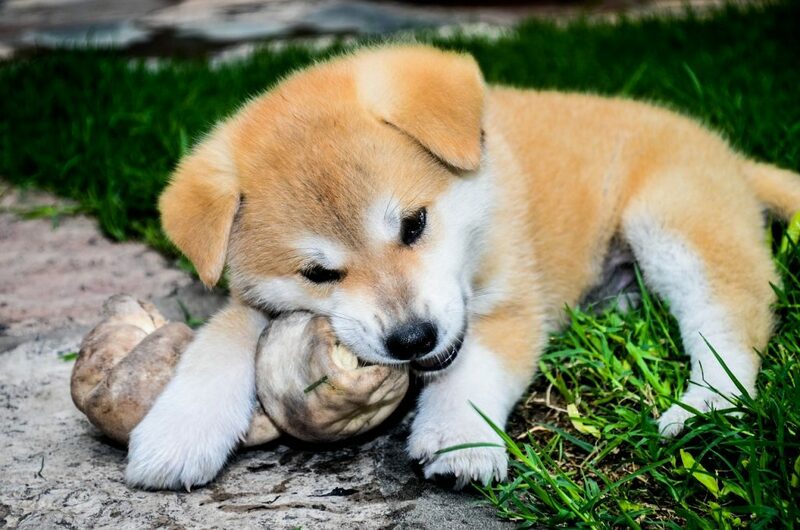 If your dog’s level of activity decreases, high chances are that you’re not feeding him right. Whether you decide to feed him a plant-based or meat-based diet, ensure that he gets sufficient amounts of the recommended nutrients.